The gold price will reach 2000 by all accounts within days or weeks at the most. At the time of writing it is over 1850 and only 8 percent away from the magic 2000 dollars an ounce. Some of the contributing factors to this include the current economic climate. Both the major financial forces, the US and European economies are under the hammer with deteriorating currency values. Also the USA and Europe heavily laden with debt as they are means that many investors are seeking a safer harbour for their assets and, of course gold always comes through there. "With the Indian wedding season just beginning, demand for gold from Asia is only going to increase in the next few months," says Bill Hionas, CEO of Pan American Metals of Miami. "Investment demand is also huge at the moment." China is also continuing its strategy of massive build up of gold reserves. According to the World Gold Council, India and China account for 52% of total bar and coin investment and 55% of global jewellery demand. "Despite a higher gold price, Indian and Chinese demand grew 38% and 25% respectively during Q2 2011 compared to the same period of 2010. This growth is likely to continue, due to increasing levels of economic prosperity, high levels of inflation and forthcoming key gold purchasing festivals." 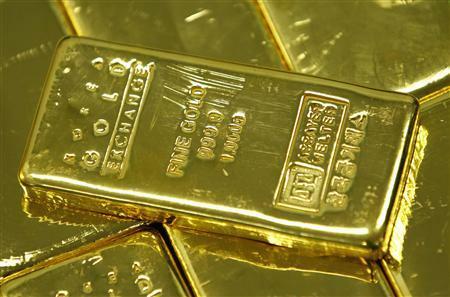 "Central banks are likely to remain net purchasers of gold. Purchases of 69.4t during Q2 2011 demonstrated that central banks are continuing to turn to gold to diversify their reserves." The Bank of England (BOE) recently received a request from the Venezuelan government about transferring the 99 tons of gold Venezuela holds in the bank back to Venezuela. A spokesman from the Bank of England declined to comment whether Venezuela had any gold on deposit at the bank." Venezuela may be starting a trend also with its desire to pull all its gold out of the Western banking system. Hinde Capital CEO Ben Davies, speaking at GATA's recent Gold Rush 2011 conference in London this month, pointed out that Venezuela's plan to withdraw its gold deposits from the Bank of England and several bullion banks is "the game changer" in the gold market, exposing the fractional-reserve gold banking system and likely hastening the stampede from "unallocated" gold to "allocated" gold. Gold's explosion in price amid Venezuela's withdrawal of gold is also, Davies says, vindication for GATA, as "this is everything they've been talking about." All these factor indicate a world wide gold rush in the making which is sure to bring the gold price to reach 2000 if not more by the end of the year. Some Forecasts are predicting gold will reach 2500 without any trouble. There is still plenty of leg room then for investors wishing to retain the value of their assets, by simply buying gold while the gold price is continuing its upward trend.